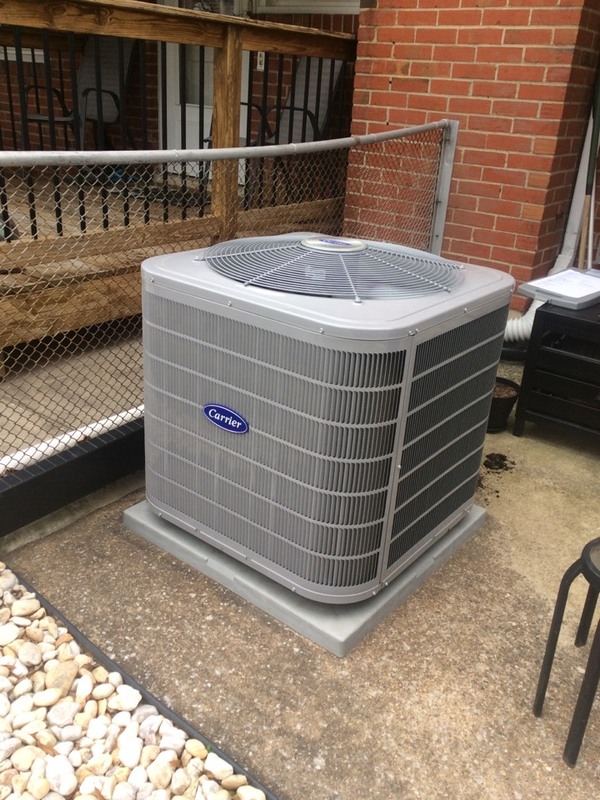 Supreme Air provides Air Conditioning, Heating and Plumbing Services, Repair, Installation, Maintenance, and Tune Up in Towson, MD and surrounding areas. Service tech provided great service. Weekend service call was prompt. The tech was kind, courteous, well spoken. A part needs to be ordered, so, I have to wait to comment on the outcome. The estimate to replace our humidifier is way too high. Excellent service and Chris was efficient and very pleasant. I was impressed with his customer service. Thank you for the kind words and great review! We are pleased to hear about the excellent customer service Chris has provided you! We look forward to working with you in the future. Thank you for being a Supreme customer! The filter was recently replaced. Evaporator coil and blower wheel are very clean. I cleaned the condensate pan and drain lines and ran hot water to flush the debris and to make sure it drained properly. I checked the electrical wiring and electrical systems, all are within specification. Unit cooling with 20+ delta temperatures across the evaporator coil. The condenser coil is very restricted with dirt and debris and as it heats up this summer it cou,d cause the head pressure to get too high. I recommended cleaning. The disconnect at the condenser is rusted in place. I showed the customer that it could not be worked free and the power has to be turned off from the main breaker panel. I recommended replacing the disconnect as well. Otherwise unit is operating normal with minor repairs recommended. Installed new contactor in condenser #2. Made all wiring connections. Checked operation. Also cleaned the condenser coil on the same unit. Replace the air filters. Checked and clean drain pans and traps. Checked condensate pumps and operation. Checked wiring and connections. Checked capacitors and ratings. Checked units and thermostat operations. Spring Pm On 04/10/19 On arrival set unit to call for cooling measured supply and return air temp measured voltage and amps inspected electrical connections checked drain and cleaned checked filters cleaned checked EWP and LWP it was low I pump to 75/68 psi also capacitor rated is low recommended run capacitor needs to be replaced I gave quote for customer accepted replaced the run capacitor checked electrical connections checked voltage and amps unit tested unit operating normal at this time. Performed ac pm. Replaced filters. Inspected blowers and Evap coils. Flushed out drains. Cleaned condenser coils. Checked capacitors and contactors, tightened electrical connections. Ran ac on all units. Checked amp draw of compressors, od fans, and blowers. Checked delta air temps on both coils. All units are operating normal. On arrival checked thermostat was calling for cooling. Measured temperature coming in and temperature going out. Measured amps voltage, inspected electrical connections, contactor, capacitor, blower wheel is clean, found clogged condensate line, I used a vacuum and water to clean it. replaced filter provided by customer. Customer renewed service agreement of $199.92 paid with a check. Unit is operating normal at this time. Upon arrival I was told humidifier in attic was leaking. Found hose and clamp at the top of humidifier wasnâ€™t connected to canister. Hose has slit on both sides, letting it slip out of canister adapter. Found inside of humidifier show signs of steam, confirming hose wasnâ€™t connected. Cut back hose and tightened clamp. Tried to physically pull on hose and verified tight connection. Restarted humidifier and checked operation. Found no additional leaks. Fall pm on 02/06/19 On arrival set units to call for heat measured supply and return air temp measured voltage and amps inspected electrical connections checked drain and cleaned checked filters and replaced units operating normal at this time. Upon arrival I found Geo calling for 2nd stage heat, aux not running and system not keeping up. Found NEST thermostat alternative heat setting was on Never Use. Changed to 32 degree enabling alternative heat. Returned call for heat and found aux heat came on and thermostat reading so. Indoor temp rising and customer feeling much better about heat. Unit operating normal at this time. *Office, service titan was discounting service fee and diagnostic fee. Charged customer full rate, please adjust invoice. Replaced old thermostat and checked operations. Upon arrival I found furnace in off position. Called for heat and found ignitor not lighting. Removed wire terminal to find ignitor only being supplied 3 volts. Tested multiple times and board supplied 120v once. Could not get the furnace to supply 120v again and system will not ignite. Control board needs to be replaced. Customer signed up for SA. Office please contact customer with part info. Fall pm on 01/02/19On arrival set units to call for heat measured supply and return air temp measured voltage and amps inspected electrical connections checked drain and cleaned checked filter and cleaned unit operating normal at this time. Upon arrival I was told that heat wasnâ€™t keeping up on the very cold nights. During diagnostics I ran both HeatPumps and checked operation. Found no problems with HeatPumps. Ran aux heat and found hot water coils are getting supplied water, but it is cold. Found oil motor for boiler was tripped. Informed customer and she is going to call Carroll who services her oil boiler. Found no other additional problems. I also explained to customer about aux heat deadband and HeatPump lockouts programmed in thermostat. She asked if I set up the HeatPump lockout to 30 degrees since it has a tough time keeping up at below freezing temps. Carol Silver main contact. I checked e.a.c. for cleanliness. I checked the electrical wiring and electrical systems, all are within specification. I lowered manifold gas pressure from 3.71 to 3.5 iwc. I operated the unit on heating mode and calculated cfm using the temperature rise method and found the unit is moving plenty of air so the furnace will not overheat but at the same time the temperature rise is within comfort range. I walked customer through how to replace the humidifier pad. The humidifier is working but is a much older model. I told the customer I would send an estimate to replace it with a new model Aprilaire 600 Bypass Humidifier. Customer called because the thermostat was not displaying the outdoor temperature and the indoor unit blower was running constantly. I labeled each unit for identification purposes and then went to test mode in the thermostat and called for compressor heat stage 1 and 2 on unit #2. I found the outdoor unit not operating. I did not have power at the disconnect and found the breaker was tripped. I showed the customer which breaker was tripped. I reset the power and checked amperage draw of unit #2. It was drawing under 10 amps and the breaker was rated for 40. I found no reason to suspect any problems with the equipment and cycled the unit several times. I also checked the refrigerant pressures and they were normal.